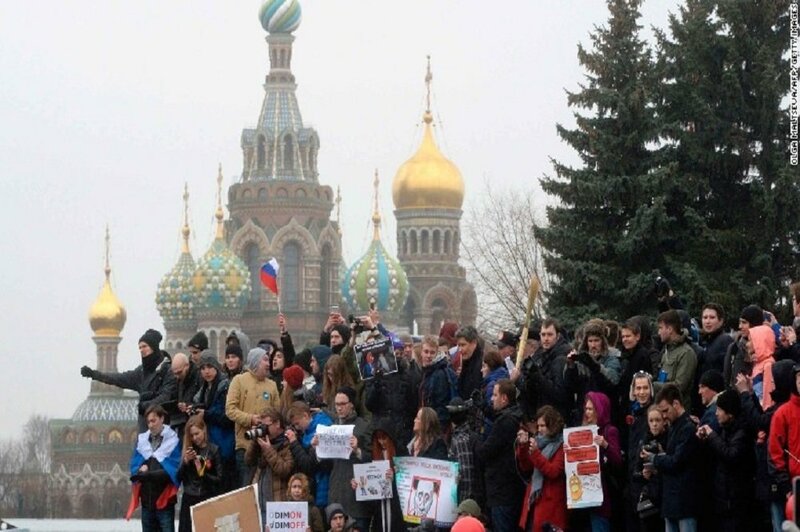 Stop the music: young artists’ gigs are being cancelled all over Russia. What’s going on and why? 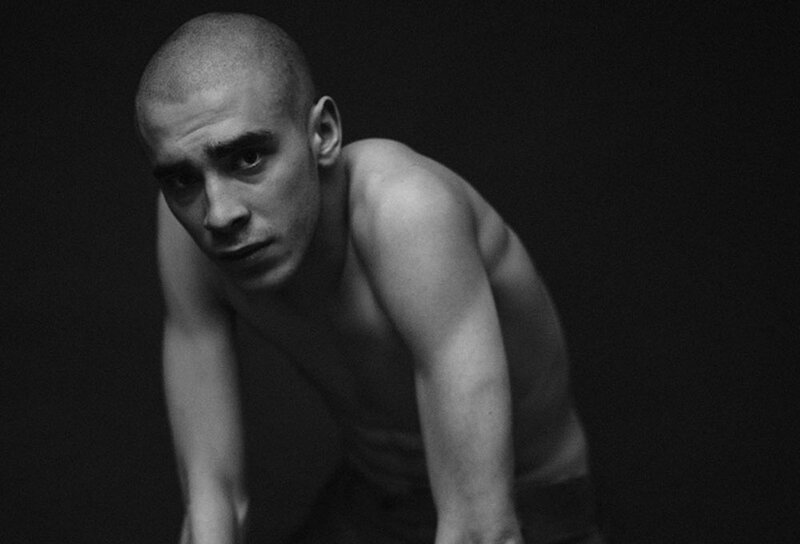 Recent months have seen gigs by musicians with teenage followings cancelled at short notice across Russia, with cult rapper Husky even spending time in a jail cell. 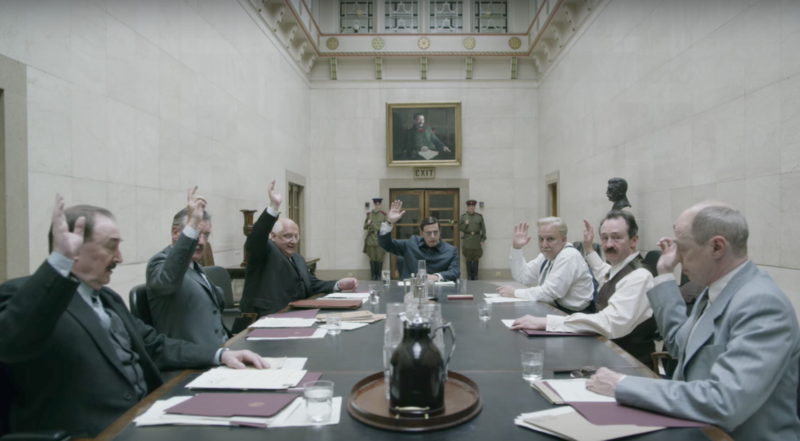 Is this censorship or just the latest incarnation of the country’s generational divide? In the middle of November, a gig venue in Russia’s southern city Rostov-on-Don was plunged into darkness. The lights were cut, the microphone unplugged, the speakers turned off. 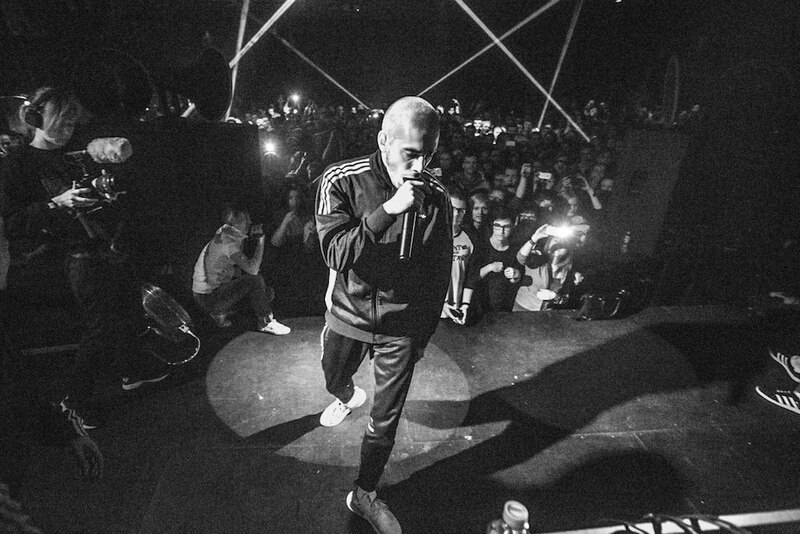 On stage and invisible in the shadow, a mic-less Husky, perhaps Russia’s most famous rapper, started performing to the groups that had entered the venue before police blocked the entrance. Husky was later arrested in neighbouring Krasnodar. Husky’s gig was one of 14 performances by young artists cancelled in the last two weeks of November alone, which came on the heels of a raft of halted gigs and performances earlier this year. 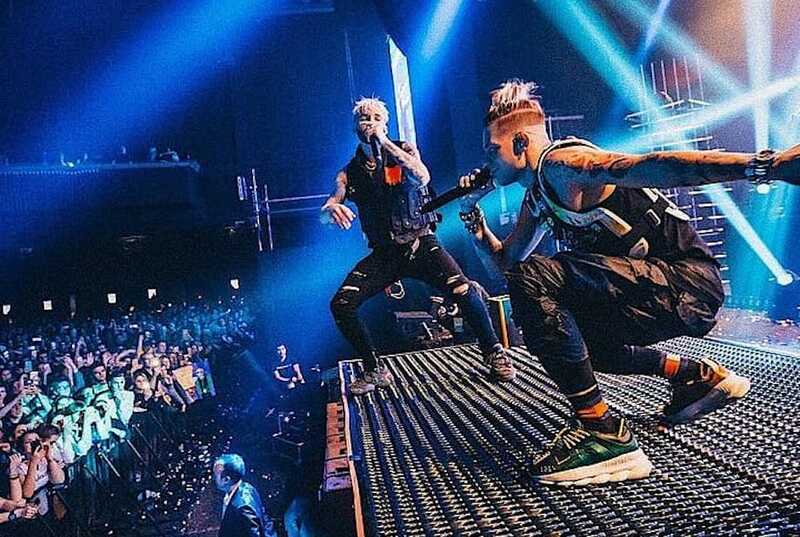 What started in the beginning of 2018 with several cancellations of smaller punk shows and festivals has since ballooned in number and profile of artist, with bigger acts including the likes of Ukrainian pop-punk band Poshlaya Molly, rappers like Face and Allj, and singer-songwriter Monetochka suffering from cancelled performances. In some cases, shows’ age restrictions were cited; in others, the venues gave no reason at all. 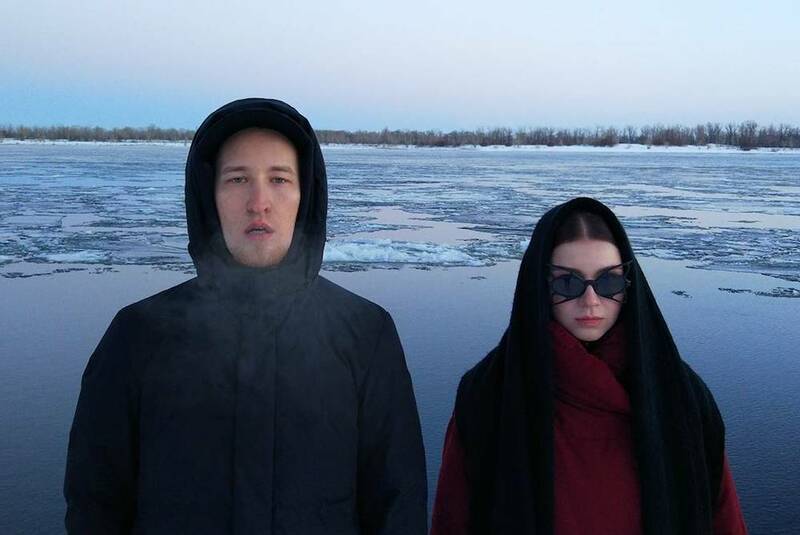 Moscow-based electro-pop act IC3PEAK, who gained prominence playing at raves and witch house parties, have reportedly resisted attempts to cancel a gig in Nizhny Novgorod and had to change venues in Kazan three times before they found one that would host them, despite being booked in advance. In Novosibirsk they were detained by police as soon as they stepped off the train, and had to hold a secret gig later in the day to avoid it being shut down. Such persistent cancellations and bans, with police force involved, immediately summon talks of cultural, or even political, censorship. IC3PEAK’s most recent music video, released before they started having difficulty performing, is often brought up as an example. In it, the musicians are filmed setting themselves on fire in front of the White House in Moscow, riding on the shoulders of the Russian riot police, with lyrics symbolically referring to police brutality (“I’m going out on the street to play with a cat/But a cop car runs the cat over”) and the Russian youth protests of the last several years (“You’ll be taken by police with others on the square”). There are also a handful of drug references, which in this context could turn out to be key. Several local media outlets have reported that the recent surge in cancelled gigs coincides with a litany of complaints directed to the police from parents concerned that performances are harmful for “the development of young people” and might be promoting drug use. It’s true that the artists whose gigs have been cancelled span the breadth of musical genres, with their work sharing few common tropes or cultural references; the thing that unites all of them is their largely teenage audience. This places the current situation within a line of events stretching back several years, in which teenagers and young people have been denied any agency by older generations. Here, politics is just one of the ways in which the generational gap is incarnated in modern Russia, with the overall message being that teenagers can’t make their own choices. They don’t understand when they’re being manipulated by political activists, the thinking goes, and are incapable of making informed judgements when listening to songs that reference violence or drug use. It’s easier to cut off access to “dubious” cultural figures altogether than it is to trust that young people are thoughtful individuals. The best way to understand these censorious arguments is to recognise that those cheerleading the banning of artists largely belong to a generation brought up under the Soviet cultural system. At that time there was a clear “right” and “wrong” when it came to culture: good culture promoted communism; bad culture tried to dismantle it. This generation reacts engatively when they see that their children can access anything they want online, produced by anyone, with no filters applied. Last year, the same feeling found expression in the moral panic surrounding the so-called “blue whale” suicide phenomenon, or the scapegoating seen with Pokemon Go. The ordinarily private world of cultural preferences takes on ever more serious — and public — implications when considered in the framework of crime and terror attacks. In the aftermath of the Columbine shooting in the US, the shooters’ interest in Marilyn Manson and other rock musicians became a key focus of the police investigation. A report by independent Russian website Znak similarly connects the string of recent gig cancellations with terror attacks in Arkhangelsk and Crimea, both carried out by young people: reportedly, investigators have looked to the perpetrators’ musical interests as a possible explanation for their actions. 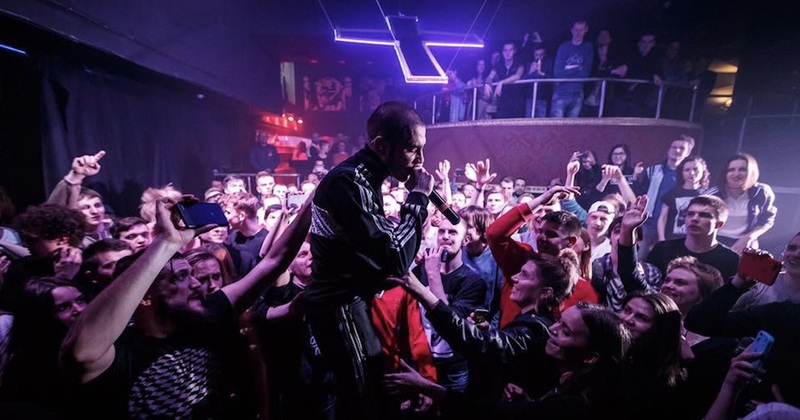 Prominent Russian musicians have rallied around their colleagues: coinciding with the day of Husky’s release from police custody, Russian rappers Oxxxymiron, Basta, and Noize MC held a charity gig to support both him and freedom of expression for musicians. 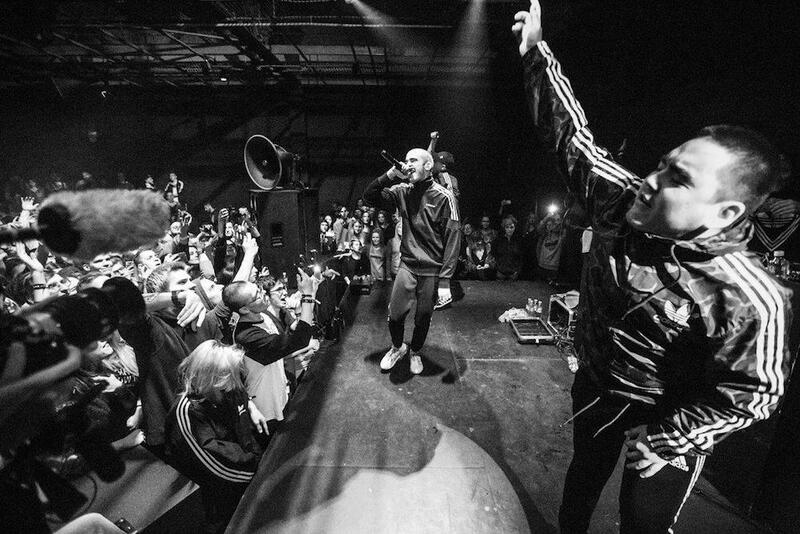 Described by Meduza as “an historic moment in Russian music”, all three rappers were joined on a Moscow stage by a crowd of famous Russian hip-hop musicians in a moment that seemed to exude a feeling of pure freedom, an unexpected sentiment considering the overall situation. We need only to look to videos of Husky’s arrest which circulated online to see that Zhigan is right. Unable to perform in the gig venue, Husky climbed onto the roof of a nearby parked car and started performing his song Ai. “I will be singing my music/My most honest music,” he sang, before being dragged off the car and detained. His fans continued cheering and singing the song as the police car slowly made its way through the teenage crowd.